You are here: HomenextAreas and PlacesnextLangdon HillsnextNostalgia in Willow Park, Langdon Hills. 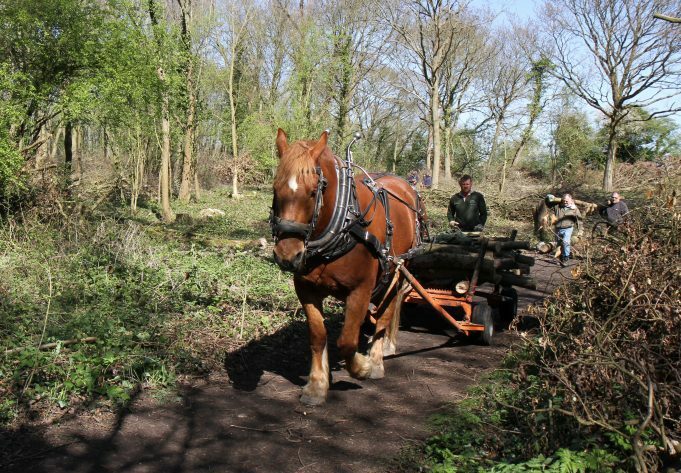 Roy, a beautiful Suffolk Punch was hired from Hawthorn Heavy Horses at Chelmsford, to haul logs from a recently cleared area just off Lee Chapel Lane. Volunteers have done a wonderful job of ‘opening up’ the dense overgrown wood to let in more light. This beautiful chestnut coloured horse was certainly a sight for sore eyes. Strong and placid, he pulled each heavy load of logs to the parked tractor and waited patiently while they were transferred onto its trailer. We watched in the sunshine and enjoyed a cup of tea with the volunteers while Roy, alternatively pulled hay from his feed bag and browsed on the soft green leaves in the hawthorn hedge. 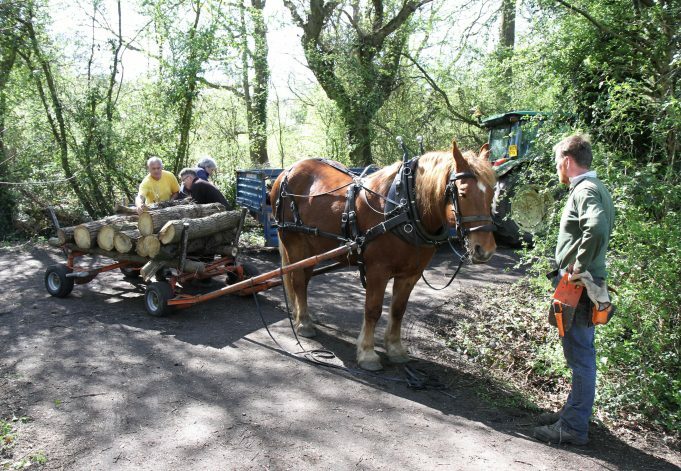 The logs were taken to Dunton Visitor Centre, where they will be used for craft work, fencing etc. Roy, the Suffolk Punch, hauling logs out from Willow Park. 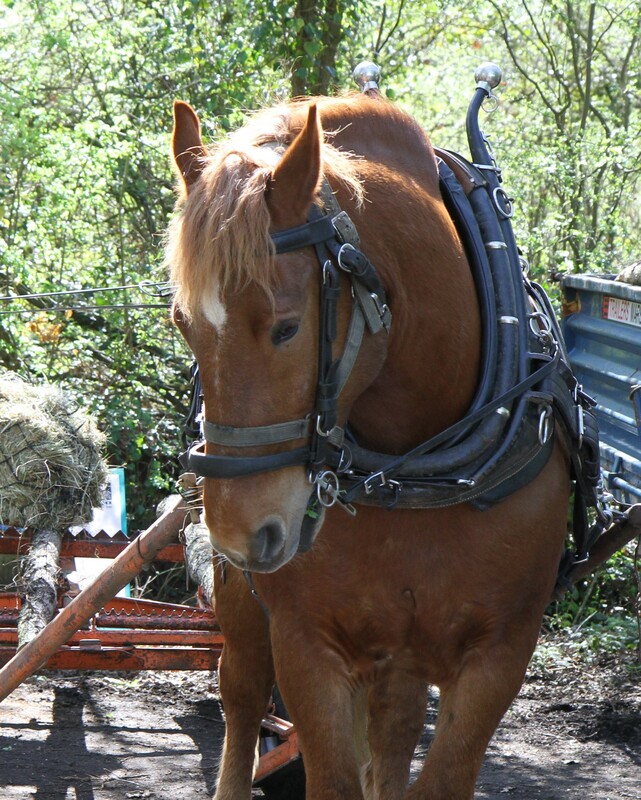 'Roy', the Suffolk Punch arriving at the waiting tractor. 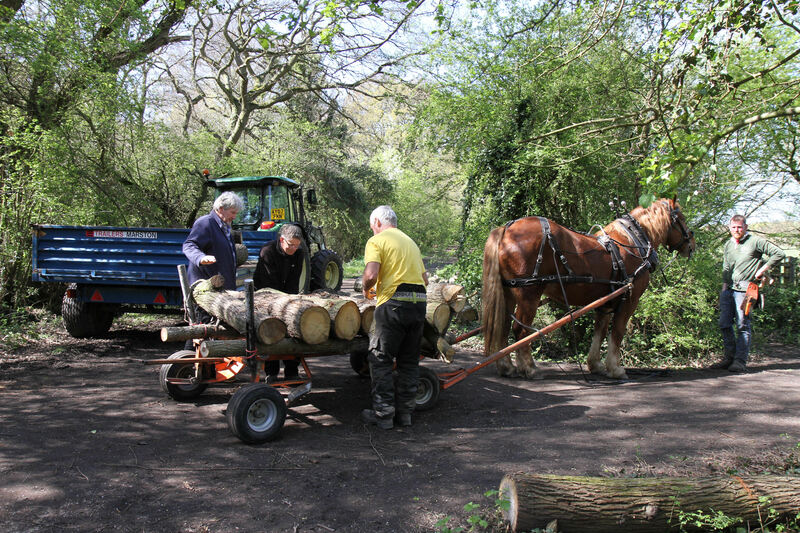 Transferring the logs from one trailor to another. A close up of 'Roy' the Suffolk Punch.